One of Japan’s closest allies declared over the weekend that all of its oceans – more than 600,000 square kilometres – would be a sanctuary for whales, dolphins, dugongs, sharks and other species. “There will be no hunting or harassment of marine mammals and other species in our waters,” said the Honourable Harry Fritz, minister of the environment, natural resources and tourism of the Republic of Palau. “We urge other nations to join our efforts to protect whales, dolphins and other marine animals,” Fritz said at a press conference during Oceans Day at the meeting of the Conference of the Parties to the Convention on Biological Diversity in Nagoya, Japan. Japan has long sought to overturn the global ban on commercial whaling and has actively solicited and received Palau’s support for many years. Japan is its second largest source of development aid after the United States. Japanese tourists frequent the islands since many people speak some Japanese. “Palau now supports conserving marine mammals, along with sharks and other species,” said Susan Lieberman, director of international policy for the Pew Environment Group, a large U.S. NGO. “This is a very significant announcement,” Lieberman told IPS. “Japan remains our very good friend, and we would like to work in harmony to achieve what we both want,” said Fritz. One of the world’s smallest nations, with 22,000 people, Palau is an island in the Pacific Ocean, some 800 kms east of the Philippines and 3,200 kms south of Tokyo. Japan occupied Palau after World War I and Japanese immigration was encouraged until World War II when the U.S. occupied the region. 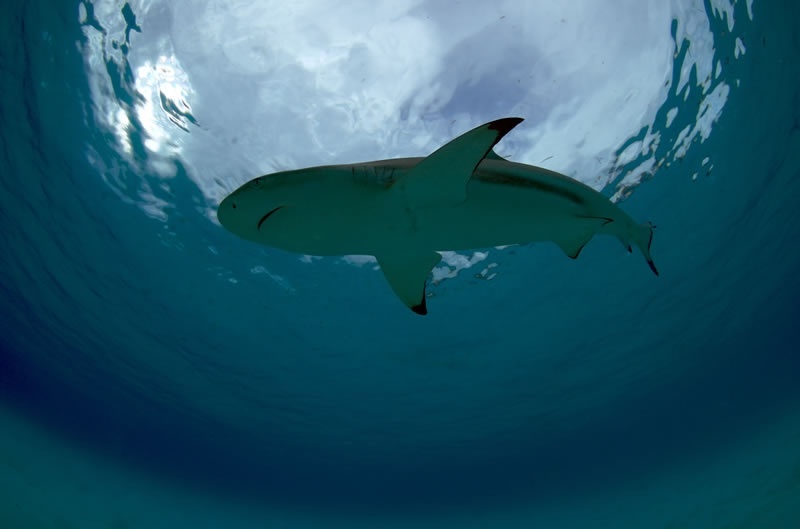 A year ago at the United Nations General Assembly, Palau’s President Johnson Toribiong announced that the waters in its economic zone, about the size of France, would be a shark sanctuary. Scientists have said about half of the world’s oceanic sharks are at risk of extinction, mainly due to the practice of catching them for their fins. “This sanctuary will promote sustainable whale-watching tourism, already a growing multi-million-dollar global industry, as an economic opportunity for the people of Palau,” he said. There has been a global ban on commercial whaling since 1986. However, Japan kills 600 to 900 minke whales (Balaenoptera acutorostrata) and a few fin whales (Balaenoptera physalus) each year in the Antarctic for what it calls “scientific research”, which is allowed under the ban. Palau’s sanctuary may be in name only, with just one boat supplied by Australia but operated by the Palau government to patrol the vast region. “We are thankful to Pew for a recent grant for fuel so they can go out more than twice a month,” he told IPS. “Last August I received a report from the U.S. officials in Guam showing more than 850 vessels fishing illegally in Palau’s waters,” Fritz added. “Whales and sharks are worth far more alive than dead to the people of Palau,” she said. Nice work Palau. I’ve just decided on my next holiday destination! This is a true tale of a mouse that roared! The mouse is Palau and WHO it roared at is Japan! Consider that Palau has a population of less than 22,000 people. The income from the island population is probably far less than what Japan spends conducting its “research” to then openly sell whale and dolphin meat to its school children. You would think a country such as Japan and as technologically advanced that they are, they could have figured out that the populations of whales have decreased drastically and they are about to close the door of extinction on these sentient creatures! Yet when one is ‘species centric’ one does not care about the survival of any other species. Nor is there care for the sustaining of the environment. I really hope that Japan takes notice, if they are actually willing to look. With a very small island country standing up to the Japanese giant, I really hope that others follow suit! Well done Palau!!!!! We applaud your foresight in recognising the importance of protecting marine life and your courage in taking action to do so.